Businesses often view data security audit as a stressful and intrusive process. 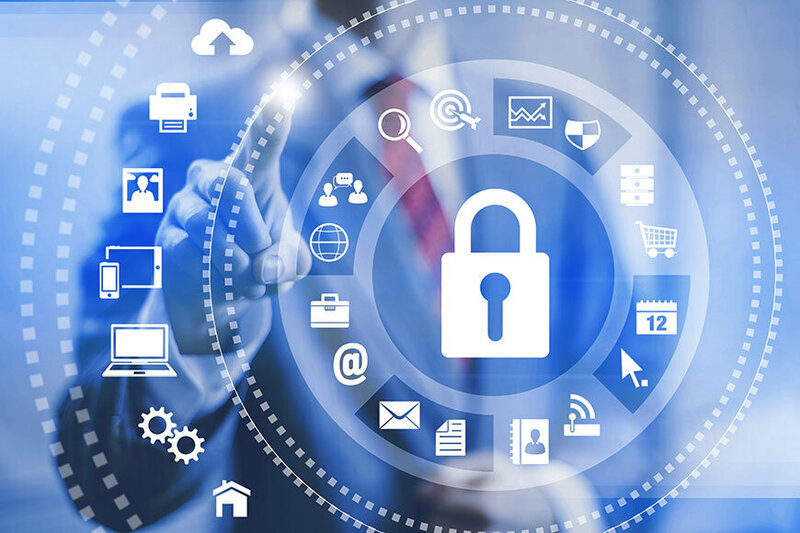 Businesses often view data security audit as a stressful and intrusive process. Auditor walks around distracting everybody and meddling in regular company operations. The usefulness of conducting audits is also something up for a debate: aren’t regular risk assessment enough to form security strategy and keep your data protected? And if you’re a subject of compliance regulations regarding private data security, then you’ll be facing an official audit sooner or later anyway. Wouldn’t you be better off preparing for that, than doing an IT security audit of your own? Determine the real state of your security and formulate the strategy for the future – audit will show you how things really are in a much more detailed way than risk assessment ever could. It doesn’t just highlight missing stuff, but also takes into account existing processes and shows why and how they should be improved. All and all, self-auditing is a fantastically useful tool when you need to assess your cyber security or make sure that you’re ready for a real compliance audit down the line. It is a good practice to do self-audits fairly often – ideally, multiple times a year. But how to conduct a cyber security audit? There are a variety of ways to gather the necessary data, such as access management, user action monitoring, and employee tracking software, allowing you to produce centralized reports for a thorough security assessment. However, it wouldn’t be fair to say that self-audits are without their fair share of drawbacks, and we will touch on them further down as we discuss self-auditing in more detail. When deciding to do a self-audit you can either do it internally with your own resources or contract an external auditor. And the choice between the two is not as cut and dry as one would think. External auditors are great at what they do. They use a set of cyber security auditing software, such as vulnerability scanners and bring their own vast experience to the table in order to examine your security and find holes in it. However, the big drawback to them is that they are not cheap, and finding the person with the necessary qualification and experience among the sea of offers can be very hard. Moreover, the success of such audit will heavily depend on the quality of communication established between your company and an auditor. If an auditor cannot get the right data or getting it late, then audit can drag on, produce unreliable results or bloat in cost. All of this make external audits a luxury, rather than a permanent solution. They are great to do once a year (if you have the time and money for it), or as a way to prepare your company for a real compliance audit, but doing them every quarter can be cost-prohibitive. Internal audits, on the other hand, are easy to do, and they can be very effective as a quarterly assessment, helping you to gather data for your security baseline and check on whether the current policies are effective or not. However, the drawback to that is that internal auditors will often lack the experience and tools necessary to match the quality of a professional external audit. However, this in and of itself is not something that can’t be solved by simply hiring the right people and training them for the job. At the same time, internal audits are not only cheap but also efficient in terms of process. It is much easier for an internal employee or department to gather all the necessary data without the arduous process of establishing effective communication and without disturbing existing workflow within the company. And while internal audits may look complicated in theory, in reality, all you need to do is to complete a series of simple steps and get the deliverables that you want. Next, we will discuss those steps in more detail. The first thing you need to do is to establish the scope of your audit. Whether you check the general state of security in your organization or do a specific network security audit, third party security audit, or any other, you need to know what you should look at and what you should skip. In order to do this, you need to draw a security perimeter – a boundary around all your valuable assets. This boundary should be as small as possible and include every valuable asset that you have and that requires protection. You will need to audit everything inside this boundary and wouldn’t touch anything outside it. The best way to define security perimeter is to create a list of all valuable assets that your company has. This can be fairly tricky, because companies often omit things like purely internal documentation, detailing, for example, various corporate policies and procedures, because it appears to have no value for the potential perpetrator. However, such information is valuable for the company itself, because in case those documents are ever lost or destroyed (for example, because of hardware failure or employee mistake), it will take some time and money to recreate them. Therefore, they should also be included in your master list of all assets requiring protecting. Once you define your security perimeter, you need to create a list of threats your data faces. The hardest part is to strike a right balance between how remote a threat is and how much impact it would have on your bottom line if it ever happens. For example, if a natural disaster, such as a hurricane, is relatively rare, but can be devastating in terms of finances; it may still be included in the list. Natural disasters and physical breaches – as mentioned above, while this is something that happens rarely, consequences of such a threat can be devastating, therefore, you probably need to have controls in place just in case. Malware and hacking attacks – external hacking attacks are one of the biggest threats to data security out there and should always be considered. Ransomware – this type of malware garnered popularity in latest years. If you’re working in healthcare, education or finances, you probably should watch out for it. Denial of service attacks – the rise of IoT devices saw a dramatic rise in botnets. Denial of service attacks is now more widespread and more dangerous than ever. If your business depends on uninterrupted network service, you should definitely look into including those. Malicious insiders – this is a threat that not every company takes into account, but every company faces. Both your own employees and third party vendors with access to your data can easily leak it or misuse it, and you wouldn’t be able to detect it. Therefore, it is best to be ready and includes it into your own threat list. But before, we would suggest you look through the comparison of threat monitoring solutions. Inadvertent insiders – not all insider attacks are done out of malicious intent. The employee making an honest mistake and leaking your data accidentally is something that became all too common in our connected world. Definitely a threat to consider. Phishing and social engineering – more often than not a hacker will try to get access to your network by targeting your employees with social engineering techniques, practically making them give up their credentials voluntarily. This is definitely something that you should be ready for. Your past experience – whether you have encountered a specific threat or not may impact the probability of you encountering it in the future. If your company was a target of hacking or denial of service attack, there is a good chance it will happen again. General cyber security landscape – look at the current trends in cyber security. What threats are becoming increasingly popular and frequent? What are new and emerging threats? What security solutions are becoming more popular? State of the industry – look at the experience of your direct competition, as well as threats your industry faces. For example, if you work in healthcare or education, you will more frequently face insider attacks, phishing attacks, and ransomware, while retail may face denial of service attacks and other malware more frequently. Once you established the risks associated with each threat, you’re up to the final step – creating IT security audit checklist of controls that you need to implement. Examine controls that are in place and devising a way to improve them, or implement processes that are missing. Physical server security – if you own your own servers, you should definitely secure a physical access to them. Of course, this is not a problem if you simply renting server space from a data center. At the same time, any IoT devices in use in your company should have all their default passwords changed and physical access to them thoroughly secured in order to prevent any hacking attempts. Regular data backup – data backup is very effective in the case of natural disaster, or malware attack that corrupts or locks you out of your data (ransomware). Make sure that all your backups are done as frequently as possible and establish a proper procedure for restoring your data. Firewall and anti-virus – this is cyber security 101, but you need to protect your network with correctly configured firewalls and your computers with anti-viruses. Anti-spam filter – correctly configured anti-spam filter can be a great boon in fighting phishing attacks and malware sent via mail. While your employees may know to not click any links in an email, it’s always better to be safe, rather than sorry. Access control – there are several ways to control access and you would be better off putting all of them in place. First of all, you need to make sure that you control the level of privilege users have and that you use principle of least privilege when creating new accounts. Apart from that, two-factor authentication is a must, as it greatly increases the security of login procedure and allows you to know who exactly accessed your data and when. User action monitoring – software makes a video recording of everything the user does during the session, allowing you to review every incident in its proper context. Not only is this very effective when it comes to detecting insider threats, it also is a great tool for investigating any breaches and leaks, as well as a great answer to a question of how to do IT security compliance audit, as it allows you to produce the necessary data for such an audit. Employee security awareness – in order to protect your employees from phishing and social engineering attacks, as well as reduce the frequency of inadvertent mistakes and make sure that all security procedures are followed through, it is best to educate them on best cyber security. Teach your employees about threats that both they and your company faces, as well as measures you put in place to combat those threats. Raising employee awareness is a great way to transform them from a liability to a useful asset when it comes to cyber security. The 4 simple steps mentioned above, – defining the scope of an audit, defining the threats, assessing the risks associated with each individual threat, as well as assessing existing security controls and devising the new controls and measures to be implemented, – is all you need to do in order to conduct a security audit. Your deliverables should constitute a thorough assessment of current state of your security, as well as specific recommendations on how to improve things. The data from such self-audit is used to contribute to establishing a security baseline, as well as to formulating security strategy of your company. Cyber security is a continuous process, and self-audits should be your big regular milestones on this road to protect your data.